add your birds favorite treats! 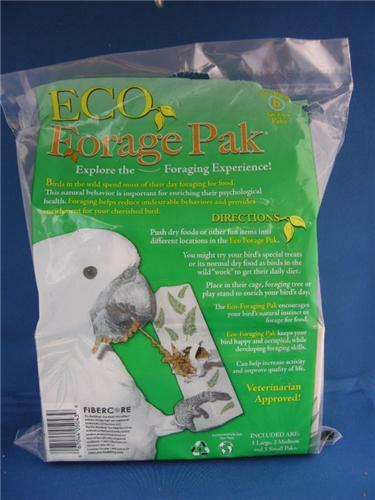 FiberCore's Forage Boxes are designed to engage your bird and create a foraging experience. Forage Boxes are preloaded with Eco-Nest, a safe bird friendly nesting / foraging material. Studies show birds prefer to forage for their food. Fun for you and your bird. Enhance your bird's environment / improves quality of life. Just add your favorite food,treats or toys the FiberCore Forage Box and let your bird find his own meal. Your bird will benefit from searching and foraging for his food. Parrot-Bird- WoodenChip Finger Traps- 72 pcs. Parrot-Bird- WoodenChip Finger Traps- 12pcs.